I read this article and found it very interesting, thought it might be something for you. The article is called Wyandotte Chickens and is located at https://www.chickencoopguides.com/breeds/wyandotte-chickens/. Every chicken coop owner knows that raising Wyandotte chickens takes work, but the benefits are well worth the effort. If you are thinking of raising a flock of chickens, it is important to find the right breed for your environment. Each breed has a distinct personality and temperament, so do some research before you buy. Wyandottes are showy birds with fashionable combs and a confident demeanor. To keep your chickens happy, you need to maintain an environment that fits their needs. Consider this overview to help calm your fears and encourage your flock to flourish. This breed was originally raised by Native Americans, and English settlers coined their name after the Wyandot tribe in the 19th century. Today, raising Wyandotte chickens is a common global practice. This is an average to large breed with hens averaging six pounds and roosters growing up to nine pounds. They also come in bantam sizes ranging from three to four pounds. 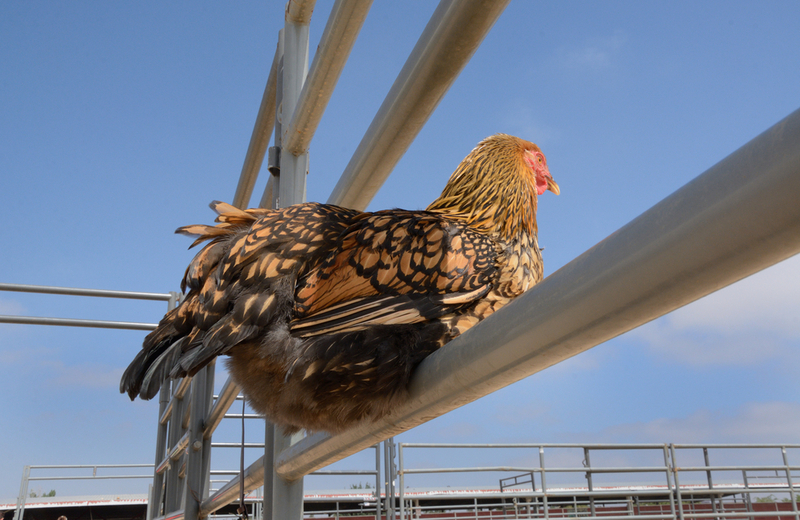 There are a variety of Wyandotte chicken colors such as gold, silver, blue, partridge, buff, black and white. Silver laced is one of the most popular colors and typically considered the most attractive. Hens are known for their distinguished wide, flat combs and overall round shape. Sometimes referred to as the divas of chicken breeds, hens walk with confidence and can be rather chatty. They also have strong personalities and brood reliably. Wyandotte chicken eggs range in color from light to dark brown. Hens make productive egg layers with an average of 200 eggs each year. They are fans of foraging and prefer free range environments but can handle smaller spaces as long as they are not crowded. They do not mind the cold and can lay eggs in all seasons. This makes Wyandottes great for first-timers and anyone raising chickens for meat or eggs. Most hen breeds are fairly quiet, but those with stronger personalities such as Wyandotte chickens can certainly be chatty. Some hens make noise after they lay eggs but are otherwise shy and keep to themselves. Roosters, however, have a notable crow, which can be an annoyance to you and your neighbors. Some city ordinances prohibit the raising of roosters for that reason. The cost associated with starting and maintaining a coop can be intimidating but is easily managed when opting for a more natural, self-sustaining lifestyle. The level of commitment needed to keep your flock happy is often a deterrent. Just like costs, starting up requires a significant level of attention. However, once you get the hang of things and a proper maintenance routine, it turns into any other chore or responsibility like taking your dog out every morning and night. Overall, raising Wyandotte chickens is a great way for new owners to learn and have fun. Just give your flock proper care and lots of love to keep them happy and healthy. Consider networking with other chicken owners so that you always have someone to turn to for help.